Please join us for our first look at our spring concert program and discover, 0r re-discover, the joys of ensemble music making. 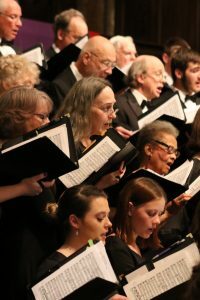 Our spring concert promises to be an eclectic mix of music from colonial times through the beginning of the 21th century, composed by Americans familiar and unfamiliar, all reflecting aspects of the American Experience. There will be familiar works, unfamiliar works, and familiar works presented in new ways. 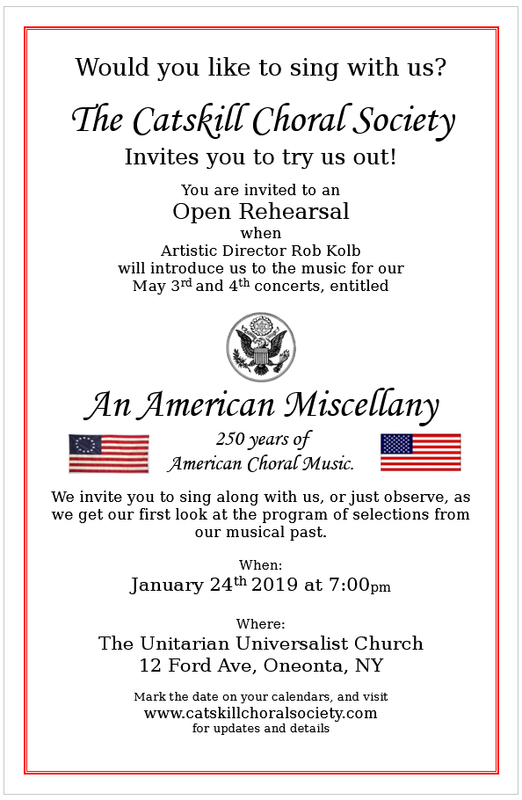 We rehearse every thursday evening at 7:00 pm from January 24th until the May concerts, with the exception of Easter week, so it’s a great way to get out of the house on a winter evening and get some vocal exercise.